Luciano is very proud to announce the first date of his Luciano & Friends events for the 2014 season at Cova Santa. The venue, which is part of the Amnesia Ibiza Group, will host the first of his exclusive parties throughout the summer, starting Wednesday July 2nd. The Cadenza Music boss looks forward to another amazing new adventure on the White Island, and he’s excited to welcome on stage on the opening night Phil Weeks, Cesar Merveille, Dan Andrei, Gianni Callipari, Paola Poletto and Francisco Allendes. 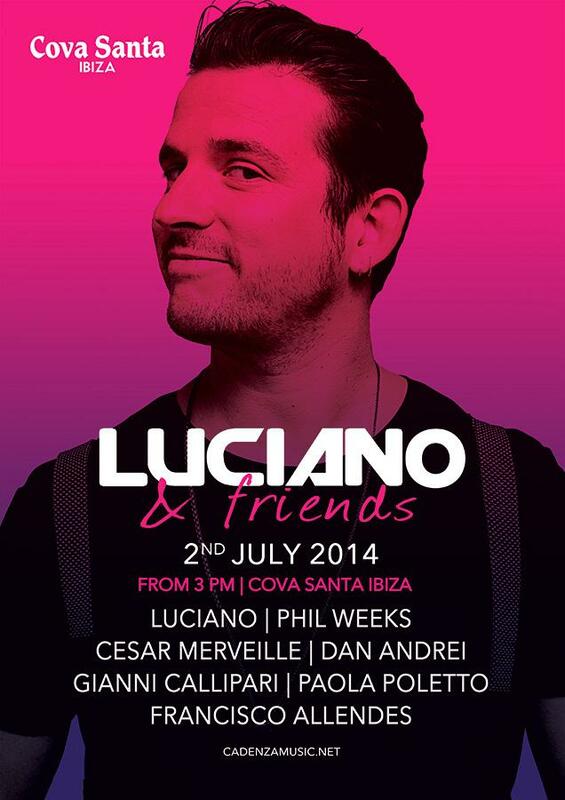 Luciano & Friends kicks off at Cova Santa Ibiza July 2nd! !